As a family run business our aim is to continue delivering the unrivalled customer service our clients’ have come to expect. 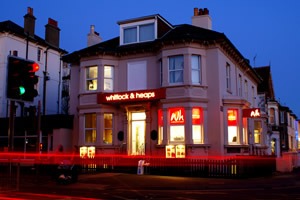 We achieve this by Read full description...At Whitlock and Heaps, we market properties locally across Brighton and Hove from our beneficial office location on the corner of Blatchington and Sackville Road. Established in 1948 our experienced Partners and negotiators ensure a wealth of knowledge is available to promote your property, champion its most marketable assets and advertise its appeal. Really good compared to the rest of the market. Standard signing on fees but no further charges on renewal,therefore excellent! The Agent fees were very good and much lower than most. Friendly, quick to respond and willing to explain things. Average but well worth it. Fair and in line with similar agents in the area. I don't mind paying for a great service. Competitive with no lengthy tie in period.